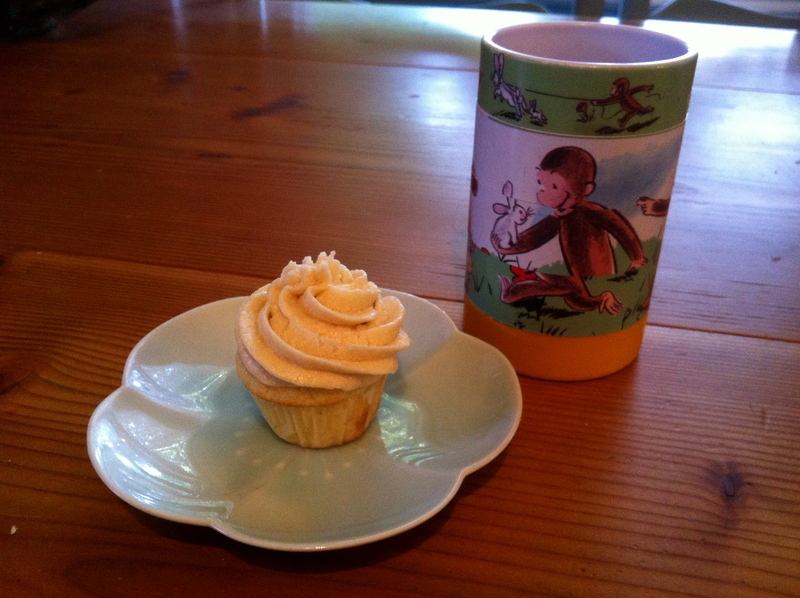 I am on a quest for the best vanilla cupcake paired with the holy grail of BUTTERCREAM. 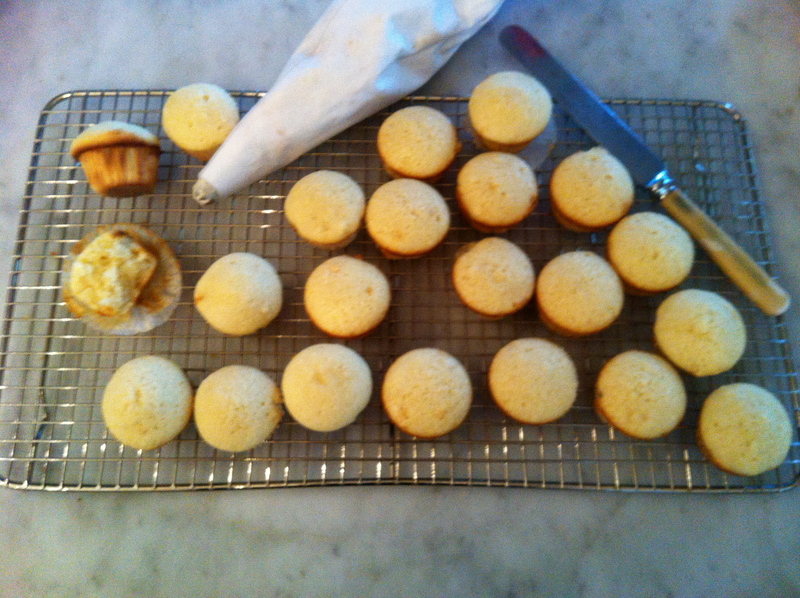 With the plethora of cupcake shops out there this should be an easy task –but not so. Many bake shops excel at particular flavours but I have only found a couple of shops that has really delivered on the vanilla butter-cream. Too many frostings are overly sweet , cloying and sickly tasting to me. There was a time when I was anxious to be seduced by a cupcakes beauty only to be bitterly disappointed. Sadly now, I am weary and jaded! 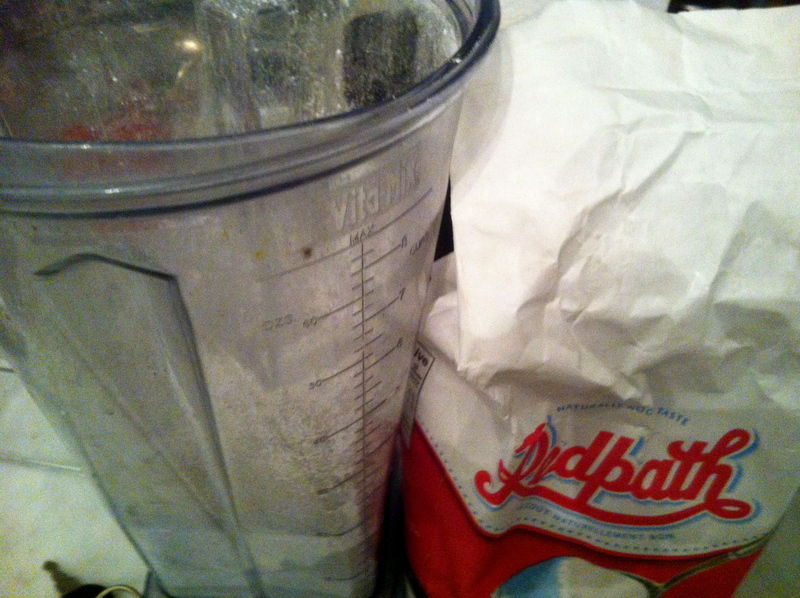 Finding the perfect recipe is equally difficult….but I have done it!!! First off I was sucked in by the heading of BEST GOLDEN CAKE RECIPE by a famous baking blog. Against better judgement I ignored my own instincts to forego the mixer when incorporating the dry and wet ingredients together and used the mixer instead. Predictably the cakes were tough, and riddled with tunnels. Like a long-lost friend, I sought out my OLD SCHOOL BETTY CROCKER recipe for DINETTE cake and followed the method my mother had taught me years ago. I have used this recipe on many occasions over the years as it is a perfect easy to pull together basic butter /golden cake. 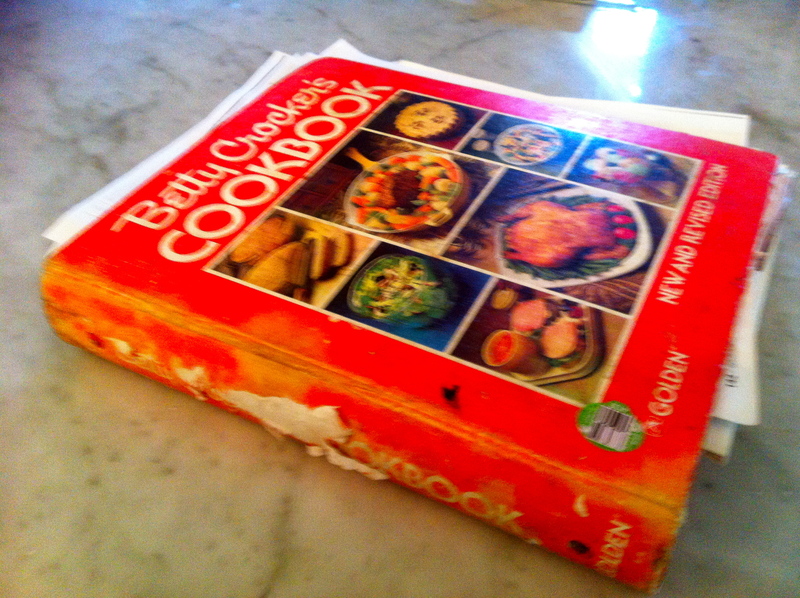 You can see by the picture how well used this cook book is. Publicly I espoused my love of JOY OF COOKING, when I was harbouring my dirty little secret of BETTY CROCKER hidden away at arm’s reach. It kills me to look back at some of the “old timey recipes” I saved in the binder. 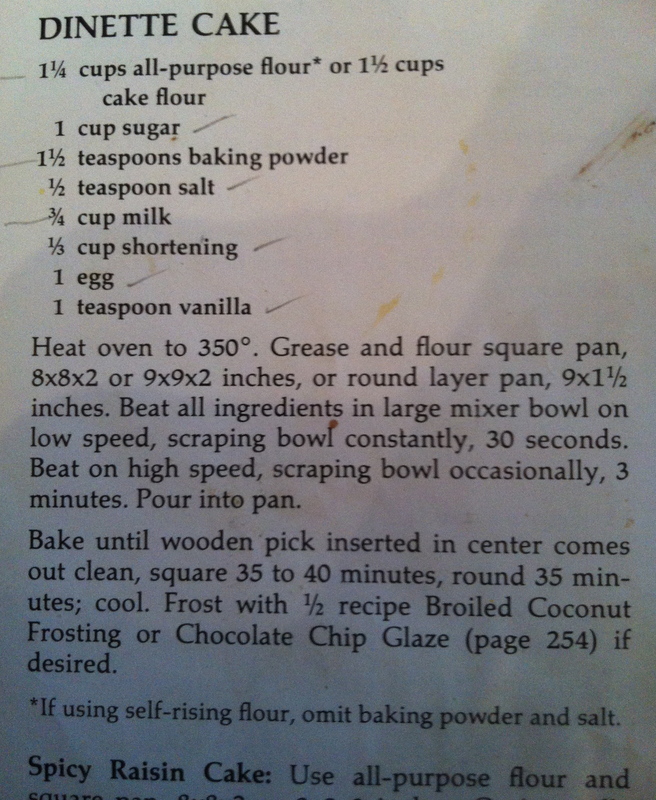 Here is the recipe for DINETTE CAKE- according to Terri and then the best BUTTER CREAM that I searched out on All Recipes.com. (The user comments were very helpful in order to decipher the best method to use, since you will see the original instructions are kind of vague.) My sister Lori had shared a custard buttercream and I had loved it but lost the recipe.I had tried to recreate it from memory and was not getting the perfect end result I wanted. I have added my own notes (IN RED CAPS) too so you can try it out. Then tell me if you don’t love it!! POUR INTO CUPCAKE TINS OR 1 9×9 sq or 1 large round tin. COOL ON RACKS and ice with butter cream when ready . You can get fancy and add a raspberry of blueberry or whatever you like–but you really can enjoy as is. 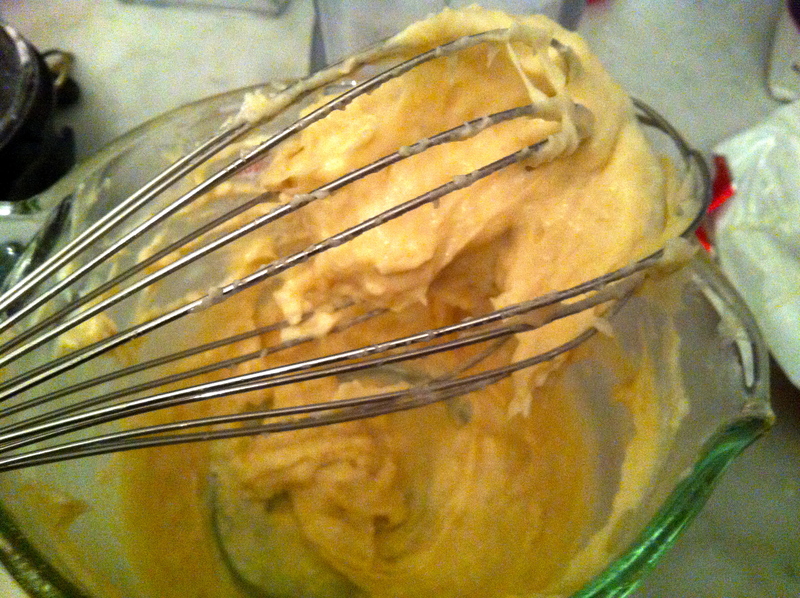 BEST BUTTERCREAM– adapted from the recipe on this link. see how think it is??? very goopy. FOURTH STEP: WHEN READY TO FROST THE CAKES–IT IS EXTRA PRETTY TO USE A PASTRY BAG WITH A STAR TIP–BUT A KNIFE WILL DO IN A PINCH. I discovered the ROUXBE site before I started my blog. I love it. Check out the links below and try a free lesson. Knife Skills is a great starter. It’s a brilliant way to bring that little extra confidence around your cooking experience. Would love to hear what you think once you try it out. Also happy to give you any insight I have around the course as well!! Rouxbe is the world’s leading online cooking school that teaches cooks of any level to become better and more confident cooks. Rather than focusing exclusively on recipes, Rouxbe teaches the cooking skills and techniques behind great recipes. Using stunning close-up instructional video, practice recipes, interactive quizzes, and personalized chef feedback, Rouxbe’s 70+ online cooking classes provide professional instructional on knife skills to plating and virtually everything in between. Perhaps best of all, with Rouxbe you can now take cooking classes from your home, on your schedule, and at your own pace. Would you use a map to teach you how to drive? Probably not. Yet some people rely entirely on recipes to teach them how to cook. As with most skills, learning the fundamentals can lead to a lifetime of enjoyment and success, and cooking is not different. By learning fundamental cooking skills and techniques, practicing with delicious recipes, and getting personalized feedback from professional chefs, you’ll quickly become a better and more confident cook. And with Rouxbe, you can do it all in your home, on your schedule, and at your own pace. Who created the Rouxbe Cooking School? The Rouxbe Cooking School was founded by two professional chefs in 2005 and was developed in partnership with Northwest Culinary Academy – an accredited culinary school. The Rouxbe Cooking School is now being used by home cooks, culinary training programs, and culinary professionals around the world. Unlimited access to all content, features, and personalized chef feedback is $299.95 per year. Individual lessons are also available for $4.99 per lesson (90 days access) or $9.99 per lesson (lifetime access).